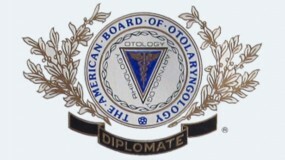 Otorhinolaryngologists, Dr. Rohn & Dr. Gamble, care for children and adults with ear, nose and throat disorders. Middle Ear Infections – Otitis Media: A middle ear infection (acute otitis media) is most often a viral or bacterial infection. Outer Ear Infection (Swimmer’s Ear ): External Otitis (Swimmer’s Ear) is a skin infection of the ear canal. 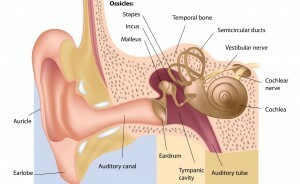 Eardrum Rupture (Tympanic Membrane Perforation): An eardrum rupture is a small hole in the tympanic membrane or eardrum. Cholesteatoma: is a cyst filled with shed skin in the middle ear. Enlarged Tonsils and Enlarged Adenoids (Hypertrophy): Adenoid hypertrophy and tonsil hypertrophy is the overgrowth of the lymphoid tissue. Tonsil Stones (Tonsillithiasis): Tonsilliths are whitish collections of debris that develop within the tonsil crypts. Vocal Cord Disorders: Vocal cord lesions and hoarseness can be caused by many things including laryngeal vocal nodules, polyps and temporary hoarseness from upper respiratory tract infections. 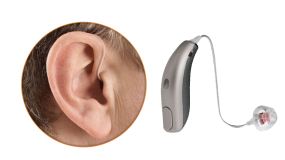 Hearing / Audiology: Our audiologists provide comprehensive evaluation, management and follow up care utilizing sound proof booths/hearing testing equipment and hearing aid dispensing. 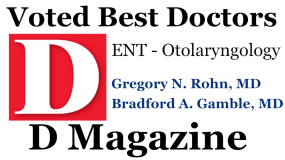 In-Office CT Scanner: OSNT Otolaryngologists/ENT Surgeons are able to evaluate the sinuses and temporal bone in a convenient office setting utilizing our low dose radiation CT Scanner. Dr. Rohn and Dr. Gamble are ear, nose, throat, and sinus surgeons in Plano and Dallas. If you would like to schedule an appointment with our office, please call us at our Plano office at 972-378-0633 or Dallas office at 214-239-1641.